I would like more information about 4639 North Central Park Avenue, Unit 2N. 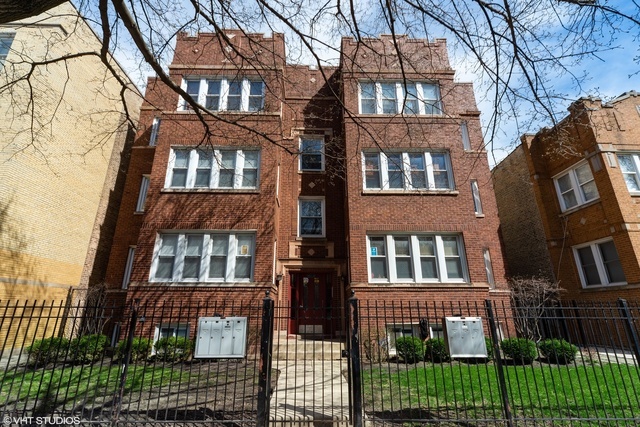 ABSOLUTELY STUNNING 1600 SF IN THE BEST OF ALBANY PARK. LOVELY CLASSIC VINTAGE BRICK BLDG. HDWD FLOORS THROUGHOUT! LIVING RM W/ ADJ DINGING ROOM OR SUNROOM WHICH IS PERFECT FOR A HOME OFFIE. DECORATIVE FIRE W/ORIGINAL BLT IN BOOKCASE. KITCHEN W/SS APPS, MAPLE, GRANITE, ISLAND . THIS UNIT OVERFLOWS WITH SO MUCH SPACE. IN UNIT W/D. PARKING SPACE INCLUDED IN GATED LOT. 3 BLKS TO BRWN LINE!! !